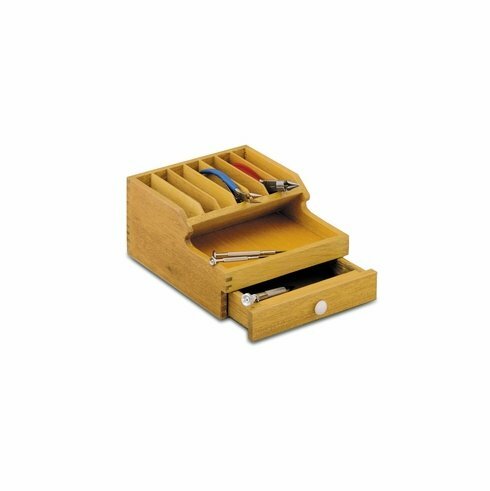 Slots for seven pairs of pliers, open tray for small parts with storage drawer underneath. Light colored wood finish with dovetailed joints. Measures 6.5"W x 7.5"D x 5"H.